Mountain bicycles are a great rental choice to discover Bulgarian mountains. Designed for off-road biking, they have to endure the intensity of off-road use with obstructions such as trunks, rocks, bumps and jumps. Mountain biking is divided into the following types: downhill mountain biking, cross-country (XC) biking, all-day endurance biking, freeride and slalom biking. 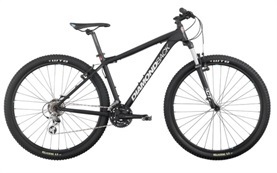 Mountain bicycles feature wide tires for better traction on unpaved terrain and front wheel suspension. Recently rear suspension is very common as well. With a lightweight construction, contemporary bikes are made from exclusive carbon fiber components. Most mountain bicycles feature 559 mm wheels and disc brakes in order to improve stopping power. Their tires vary in thread patterns depending on the style: street tires with a center ridge, front- or rear-specific, fully knobby and snow applicable. Some of them are particularly invented for specific weather (dry or wet) and for exact terrain (soft, hard, muddy). There are all-around applicable tires as well. Specialized S-works Enduro, R1 21V from Ferrini, Ibis Mojo HD XT, Santa Cruz Nomad Carbon SPX AM, Scott Genius LT 10, One-Forty 1500, One-Forty XT-Edition, One-forty 3 000, Superfly 100, Lush 29, the Trek Fuel EX series are some of the best mountain bicycle models.